Monetizing your blog is necessary from the moment you start writing contents on it. Especially if you started blogging as a side hustle due to the amazing posts you read of bloggers alike making passive income from it. You are on the right track, however you need to know how to go about it or else you might start feeling like it is a waste of your time and resources. When I started, though I never saw it as a waste of time but it was a slow start. I don’t want you to have a slow start like I did so this step by step guide is here to help you out. Stay tuned! Is to understand what monetizing your blog is all about. And how there are a lot of ways to make money blogging. Like I know affiliate marketing is talk of the town however there are bloggers making a lot from other ways. If I want you to sign up for my how to rock affiliate marketing course, I will paint it as the only way to make money blogging. But what you don’t get is I am making money for the course you are about to register for. Which is not some affiliate program I’m a part of but a course I created. Therefore monetizing your blog means putting products of monetary value to you on your blog and it could be done in many ways. Is to choose a niche and stick with it. Choosing a niche is not a challenge because you can easily pick one that you find interesting or have some experience. However sticking to that niche is a challenge for every blogger because staying focus is not an easy task. If you are on platforms like pinterest, it is quite glaring that the most trending pins are all about blogging then fashion. You could be tempted to switch it up a little, it’s okay to read about blogging to improve your blog but try your best to stay focus. The good news I have for you is every niche can be monetized, all you have to do is learn what way works best for your niche. If you want to go for a niche you have no idea how to monetize drop a comment I will gladly tell you how. Sticking to a niche make you better at it thereby increasing your chances of making more money with that niche. Just writing about a beautiful product is not good enough or recommending what you use that is necessary won’t make you money. However what will make people buy that product is if you tell them how to use it or show them how it worked for you in achieving a certain thing. Next time when you want people to sign up for amazon affiliate through you, show them how it works and how they could make money from it like you do. Showing proves makes your persuasion easy. 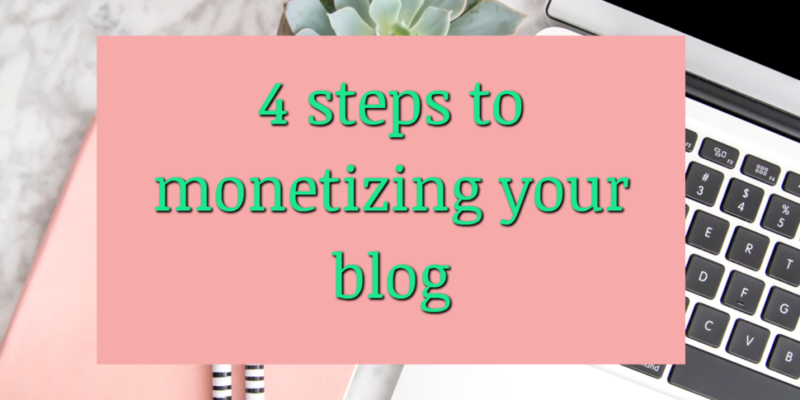 Fourth step to monetizing your blog lies in your niche. At this point I’ll give you hints on how to go about the few niches in my head but if I don’t mention what your blog is all about drop a comment with your question and I promise to answer it. healthy living: This one is broad, from diet, to weight loss, to fitness and health itself. Even yoga can be found here. You could sign up to affiliate networks that have a variety of products from what I listed and promote. So you understand affiliate networks gives you access to a lot of affiliate programs. Instead of finding companies one after another, you can just find one good network and get access to all its affiliate program. yoga: Apart from you telling people how to go about yoga. You can create premium membership for your subscribers where they get online yoga videos from you. Let’s call it online yoga classes. Meaning you are coaching your subscribers from the comfort of your home and you are getting paid for that. book review: I am a book lover and I’ve read a lot of them. However I rather stick to reading than reviewing but I guess we are all not the same. Some of is want others to know about our opinion regarding a particular book. I assume you follow up your favorite authors and know when a book is yet to be launched. Being the one with such breaking news will gain you traffic already. Then also make sure as soon as the book is out you have it available on your blog through affiliate programs like amazon. Who told you blogging was a piece of cake ha!. movie review/ critic: Almost the same applies for movies as books. Ask Netflix if they have an affiliate program. So that the next time you talking about a movie from them and someone wants to become a paid viewer. They will go through you and you get some commission. lifestyle: Is you talking about everything you got going for yourself and you thing could be of help to someone. Frugal, travelling, fashion, income, mom, single mom, DIY, single, married, bachelor, debt free, broke like me, weight struggles, spending, budgeting. Like you can tell it all when your niche focus on lifestyle. You can become a life coach for the things you had success with and get paid. Or sell crafts you made if you focus on DIY. If you want to promote what you sell on your blog then you need a shop I recommend shopify for your online shop. finance: Write ebooks on how people can manage their finances and sell them. If people can buy books in stores talking about money and finance. What makes you think they won’t buy your book online. Just make sure it is great and publicizes it like your life depends on it. Well if not your life, your time deserves some reward. Your blog is to get people familiar with how great you are through your content. business: Maybe you don’t know, but people do pay people to make a great business plan for them. So if you are good at that, you can put your service on your blog and let readers know you can help them out with what you are teaching them. photography: I love photography, not like there are no competition out there but it one of the easiest. You could sell your own images on your blog. online marketing: Some times all you need to be an online marketer is a free course on google that teaches you all. Sounds funny but it is true. And when you are done with the courses, put yourself out there and see if someone won’t pay you to grow their business online. graphics and design: Stencil and picmonkey have great affiliate programs. Since you are great with images and designs show people how to create great images and see if they don’t get you more money in your bank account. fashion: Straight to the point with this one. Gain a lot of followers on social media and the seconds someone ask you where to get your outfit point them to your bio. Just make cool cash looking good. social media: When it come to social media, affiliate programs are the best. For instance you use tailwind on pinterest for scheduling your post. Tailwind have an affiliate program. Sign up for it recommend it to your followers and make some cash. religion: Being a part of amazon associates is probably what you need here. You could recommend christian books from renowned writers and even DVDs. When purchase are made you get more money in the bank. I probably mentioned the popular ones, well they were the ones that popped into my mind. Drop a comment and I will respond ASAP if your niche wasn’t mentioned. 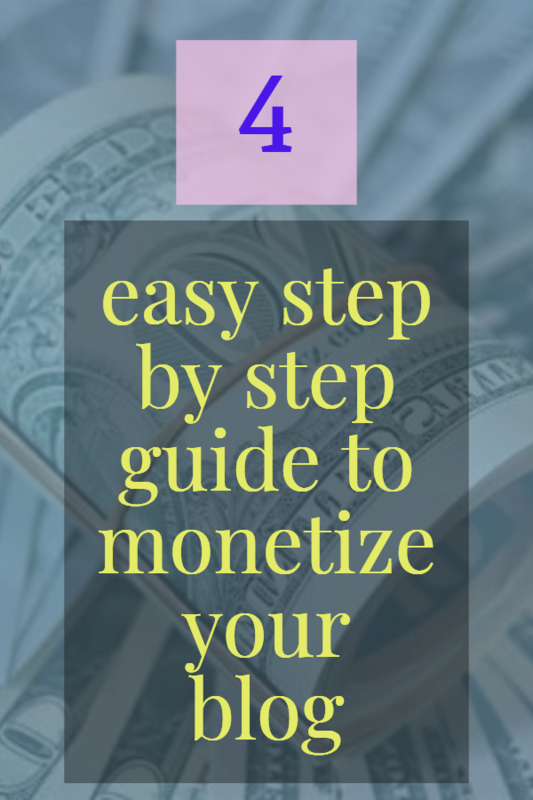 And this are my simple steps to monetizing your blog. Now that doesn’t sound from trouble . does it? I’ve been blogging for a year now,there is a lot I’m still learning. I am happy you found something good on my blog. I intended to post you one bit of note to give many thanks over again for the beautiful basics you’ve featured on this page. This has been quite open-handed with people like you to supply unhampered just what most people could possibly have marketed as an e-book to help make some bucks for themselves, even more so given that you could possibly have done it in case you considered necessary. Those basics additionally acted as the great way to know that someone else have the identical passion the same as my very own to grasp a little more in respect of this issue. I think there are a lot more pleasant times up front for those who look over your website. I simply needed to say thanks once more. I do not know the things that I would have created in the absence of the entire techniques discussed by you on such situation. It previously was a very traumatic crisis in my opinion, nevertheless taking note of a specialised style you managed the issue made me to cry for joy. Now i am grateful for the work and then pray you realize what a great job you have been doing instructing other individuals through your web site. I am certain you have never got to know any of us. I must express some appreciation to the writer for bailing me out of this particular trouble. Because of surfing around throughout the search engines and seeing proposals which are not pleasant, I thought my life was done. Living minus the strategies to the problems you have sorted out as a result of your article is a serious case, as well as the kind which could have in a negative way damaged my career if I had not encountered the website. That know-how and kindness in dealing with almost everything was priceless. I don’t know what I would have done if I had not encountered such a solution like this. I’m able to at this time look ahead to my future. Thank you so much for your skilled and results-oriented guide. I will not think twice to refer your web blog to anyone who should receive recommendations on this topic. I simply desired to say thanks all over again. I’m not certain the things that I could possibly have sorted out without the type of suggestions documented by you concerning such problem. It absolutely was an absolute frightening crisis for me, nevertheless being able to view the skilled tactic you handled it forced me to cry for joy. I’m thankful for this support and in addition hope you really know what an amazing job your are accomplishing teaching the mediocre ones using your websites. I am sure you have never encountered all of us.